To start off my review, I would like to give you a small synopsis (spoiler-free). So you might be wondering why the authors gave the book such peculiar title. 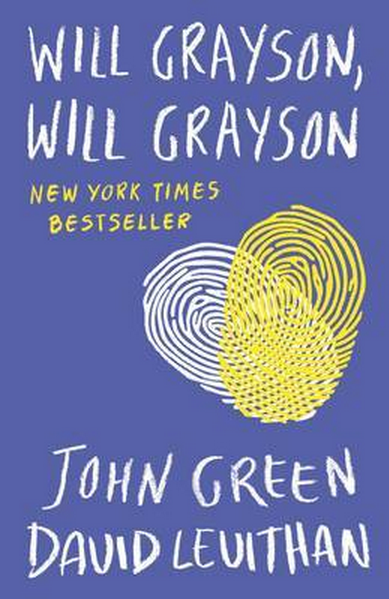 Well, there are two Will Graysons in this book, hence, Will Grayson, Will Grayson. The story is about two different Wills, each created by either one of the authors. There are a lot of characters; some of them are well-developed whereas some are not. Taking into consideration that this is a young-adult book, it does have a lot of teenager-ish thoughts and feelings to it: relationships and depressions included among a couple more. It is almost like a coming-of-age with friendships, life, and love, all bundled up together to give you a mystery (if that makes sense). Therefore, if you are a teenager who is figuratively lost in translation from your exterior and interior self, you may wonder what the book in store for you (obviously). The two Will Graysons live in their own different worlds but they somehow meet and thus, they start figuring themselves out and learning a lot via their coincidental encounter. It is safe to say that the story is pretty simple and enjoyable for those of you who are looking for a light read and a simple one, considering the fact that the book has a lot of relatable day-to-day wordings (let’s be honest here) and also IM conversations that we are familiar with almost every day. Good review… I liked this book but not enough to read the follow on!